As a homeowner, you will more than appreciate the hard work and effort that has gone into owning your property and that is why you should do everything you can to make it as safe and secure as possible. In the past, CCTV systems and other security solutions have been out of reach of most homeowners but now we make it possible for everyone to enhance the security of their home. A CCTV system that is installed correctly will deter intruders and ensure that your property is monitored 24 hours a day. Recording all activity around your home can give you complete peace of mind knowing that all of your property, possessions and your family remain safe at all times. Security systems can reduce your property insurance premiums, deliver instant access to emergency services when required and reduce your risk of becoming a victim of crime. 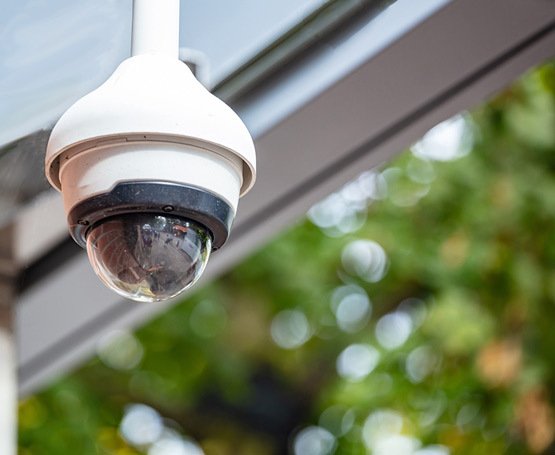 As part of our service, we will professionally install the latest security systems that offer crisp, clear images, enabling you to keep an eye on your property when required. We can install security camera systems, install security monitors in your chosen location and ensure that all cabling work is unobtrusive. The technology that surrounds the security of your home has changed considerably and now, you can have access to systems that detect movement, sound and record images in HD quality. All of this can be monitored through the use of a mobile app, giving you peace of mind even when you are not at home. Protecting your property is vital because it minimises the risk, provides a visual deterrent and provides you with everything you require should you believe that suspicious activity has taken place around your property. We can take care of all of your security needs from identifying the best security system for your property to carrying out installation work.